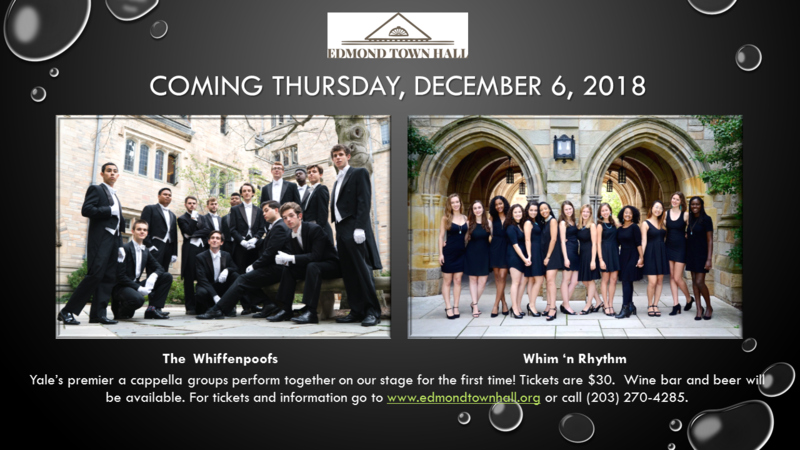 Two of Yale’s and the nation’s premier a cappella groups, perform together on our stage for the first time. Tickets are $30. Doors open at 6 pm, concert starts at 7 pm. The first set will be for 35 minutes, then a 20 minute intermission and a second set for 35 minutes. A Beer and Wine Bar will be available. Join us for a magical evening! CLICK HERE FOR TICKETS!